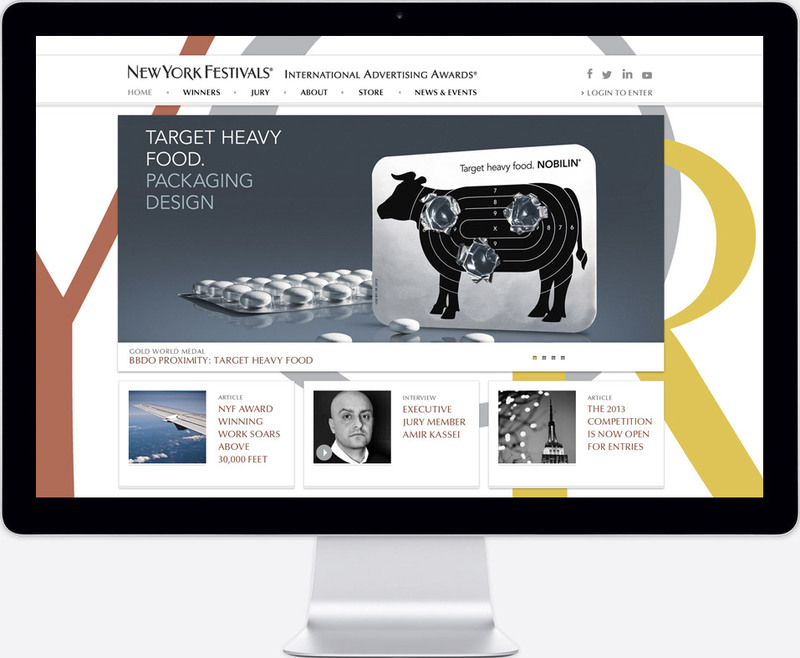 New York Festivals was established in 1957 and has served as one of the ad industry’s premier international advertising award shows; it receives entries from over 70 countries on an annual basis. However, in recent years, NYF began fading in the mindset of their core audience: advertising agencies, top F500 brands, television, film and radio makers. It recently re-established itself and made significant improvements to their competition structure. However this was not enough to establish NYF as the industry leader. With the growth of digital being so significant, their digital strategy and web presence needed an overhaul. Build a web presence that is a source of inspiration and deliver it as a seamless and optimal experience across all digital platforms: Desktop, iPhone, Android, tablet, Mini-iPad, etc. 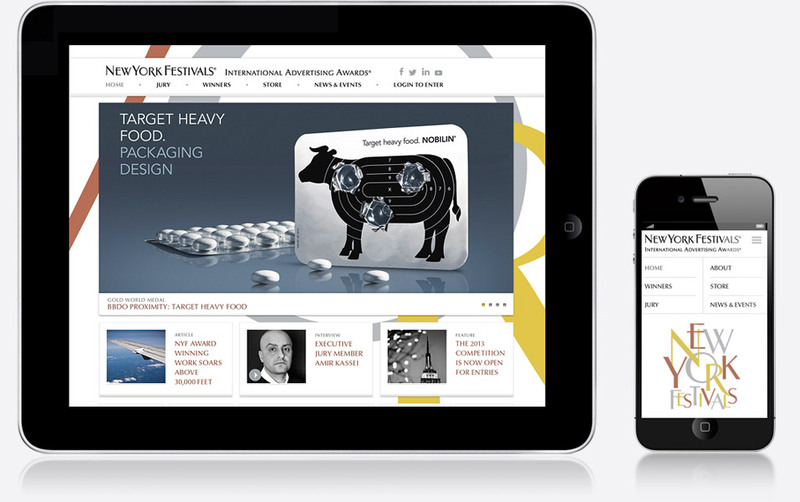 by designing & building a responsive site. Build a CMS solution that fit their content model and would support a flexible, content-rich web presence. Studio Lekker used a Python/Django combination to build a high-performing product that can scale over time.